Next, the women arrived at the tomb and they noticed the large stone had been rolled away from the entrance, and Jesus’ body was gone. They were told by an angel to go and tell His disciples that He was raised from the dead, but instead they were frightened and went away saying nothing to anyone until, shortly after the Lord made His first appearance since the cross when He came to Mary Magdalene. She then revealed to many that Jesus had returned from the dead, but none believed her. He then appeared to more of His disciples, and after they also revealed they saw the Lord in the flesh, no one believed them either. Jesus then appeared to the eleven as they sat at the table, and He scolded the disciples for not believing what Mary and the two disciples had told them about His resurrection. He followed His rebuke by delivering the Great Commission, a command for all disciples to go out into the world and preach the gospel to all those who will listen and seek the hope that comes along faith in the Lord. Over 500 people saw the resurrected Lord during a period of forty days. 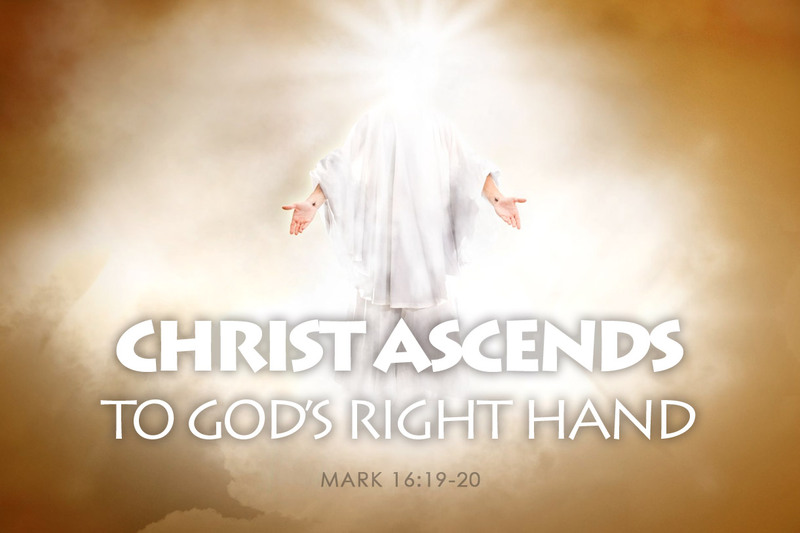 After He delivered His final command to His apostles, Jesus was ascended to Heaven and seated at the place of highest honor, the right hand of God. After they witnessed His ascension, those who believed went out and answered the call to the great commission, preaching the gospel to the ends of the earth and spreading the truth about the risen Savior, the Son of God almighty and Hope of the world. By faith, we are called to do the same by furthering the Kingdom of God with by our actions, our words and our temples… As we conclude Mark’s gospel, how are you a answering the call to the Great Commission? Let’s pray!